James Woodford lieferte die großartigen Werke, die 1953 die Krönung überwachten und nun wurden diese heraldischen Tiere in der durchdachten Gestaltung dieser Serie wiederbelebt. 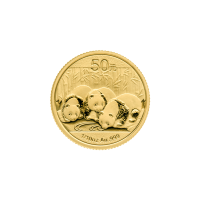 Diversify and invigorate your holdings today with the 1 oz 2018 royal mint Queen’s Beasts Griffin of Edward platinum coin. Rückseite Ein stilisierter Greif mit ausgebreiteten Flügeln, der das Wappen von Edward dem III. 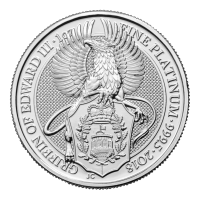 hält und die Worte "Griffin of Edward III 1 oz Fine platinum 9995 2018" (Der Greif Edwards III 1 oz Feinplatin 9995 2018). Ein stilisierter Greif mit ausgebreiteten Flügeln, der das Wappen von Edward dem III. hält und die Worte "Griffin of Edward III 1 oz Fine platinum 9995 2018" (Der Greif Edwards III 1 oz Feinplatin 9995 2018). 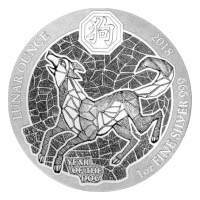 1 oz Platinmünze - Queen's Beasts (Die Tiere der Königin) | Der Greif Edwards III - Royal Mint 2018 Order your 1 oz 2018 royal mint Queen’s Beasts Griffin of Edward III platinum coin today from our web store and we’ll make sure you pay the lowest rate online. This platinum coin forms a part of the Queen’s Beasts British coin series, which features the 10 heraldic beasts whose sculpted forms presided over her majesty’s 1953 inauguration. The reverse design of this strikingly beautiful coin features that time honored symbol of British heraldry, the griffin…fast in his grip is the shield of Edward III, whose private seal bears the symbol of the griffin. 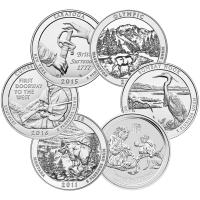 Encircling the griffin, within a frame you’ll see the coin’s title, its weight and purity, as well as ‘2018,’ the year of issue. 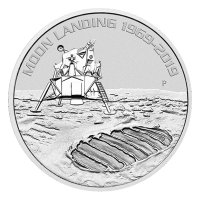 The coin’s obverse, artfully crafted by the same talented royal mint engraver who designed the reverse, is her majesty’s likeness. 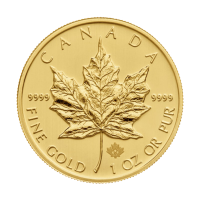 The obverse also bears Elizabeth II formal title and the coin’s unique denomination. James Woodford lieferte die großartigen Werke, die 1953 die Krönung überwachten und nun wurden diese heraldischen Tiere in der durchdachten Gestaltung dieser Serie wiederbelebt. Diversify and invigorate your holdings today with the 1 oz 2018 royal mint Queen’s Beasts Griffin of Edward platinum coin.